In less than a month, the largest Palestinian refugee camp in Jordan, Baqaa, has witnessed two funerals for jihadists killed in Syria. They were among dozens who flocked into Syria to fight against Bashar al-Assad's regime. Since the Syrian armed uprising began - after months of peaceful protest - jihadists aiming to establish an Islamic state by violent means started to show their presence in the country. The jihadists are largely travelling to Syria from neighbouring countries, including Jordan. Last February, al-Qaeda's leader Ayman al-Zawahiri called on militants in Iraq, Jordan, Lebanon and Turkey to rise up and support what he called "their brothers in Syria". Abu Muhammad al-Tahawi, a prominent Jordanian jihadist ideologue, told the BBC that "jihad in Syria is obligatory for any able Muslim in order to help his brothers there." It seems that the conflict in Syria is affecting Jordan and other neighbouring countries, and jihadists could be a major component of it, similar to Iraq after the US invasion in 2003. On 20 October, the authorities in Jordan said they had arrested 11 militants alleged to have planned attacks on Western diplomats and shopping centres in the capital, Amman. Government spokesman Samih Maayta said the suspects had brought weapons from Syria, and al-Qaeda operatives in Iraq had helped them manufacture explosives. Jihadists call the funerals of individuals who have been killed in jihadist battlefields a "martyr's wedding" in which they do not exchange condolences but congratulations on a person becoming a martyr. The first funeral or "wedding" in Baqaa was for Montaser Bayrouti, who was described in a big banner as "Lover of Virgins" - an allusion to the reward some Muslims believe awaits martyrs in Heaven. Mr Bayrouti was said to have been killed in Aleppo in mid-September. He came to Jordan from the West Bank to study Sharia in Yarmouk University in Irbid, the country's third largest city. The other funeral was for two friends - Nasser Dalqamoni and Mahmoud Abdel Aal. It was announced that both were killed in Daraa on 12 October. Once again, Irbid city came to be mentioned in jihadist profiles - Abdel Aal was the son-in-law of Mr al-Tahawi, who is based in the city. Irbid is located on the border with Syria. But Mr al-Tahawi denied a geographical dimension for the jihadists flowing into Syria to wage jihad. He said: "All Jordan is near to Syria. The distance between Amman and Syria is just 80km (50 miles)." However, the role of jihadists in Jordan increased remarkably after the Iraq invasion in 2003. This can be seen with increasing numbers of foiled attacks in the country since then. During the period of 1991-2003, for example, Jordanian courts ruled in 10 large cases related to Salafi-jihadists, but from 2003-2008, however, that number more than doubled to 22. Several failed attacks were attempted in Irbid during this period and, more importantly, the city emerged as a transit point for Salafi-jihadists heading to Iraq or Lebanon between the years 2004-2007, owing to its proximity to the Jordanian-Syrian border. The jihadists' relationship with the authorities has always been confrontational from the early 1990s, and jihadists have always been a secretive and violent movement. However, after the Arab Spring they appeared otherwise. Jihadists of Jordan have shown visible participation protesting in the streets of Amman and other major Jordanian cities such as Maan, Salt, Irbid and Zarqa. They were inspired by the power of the Arab Spring revolutions to effect demonstrable change in several Arab countries. The jihadist demonstrations in Jordan came to an abrupt end by April when a demonstration after Friday prayers in Zarqa - hometown of the late leader of al-Qaeda in Iraq Abu Musab al-Zarqawi - was followed by clashes. Violence erupted between jihadists and pro-government Jordanians and security forces, which resulted in some 80 injured policemen. 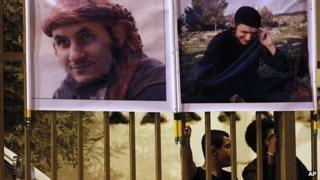 Jordan's State Security Court charged 146 Islamists in April 2011 with plotting terrorist attacks. Mr al-Tahawi told the BBC that "even before the Zarqa incident, jihadists were departing to wage jihad in Afghanistan, Iraq, Somalia and also Palestine". Others, mainly analysts, argue that the failure by jihadists to turn to political activism instead of violence played a significant role in pushing them to find a new jihadi battlefield. It seems clear that the Syria conflict will have regional effects just as Iraq had a few years ago.